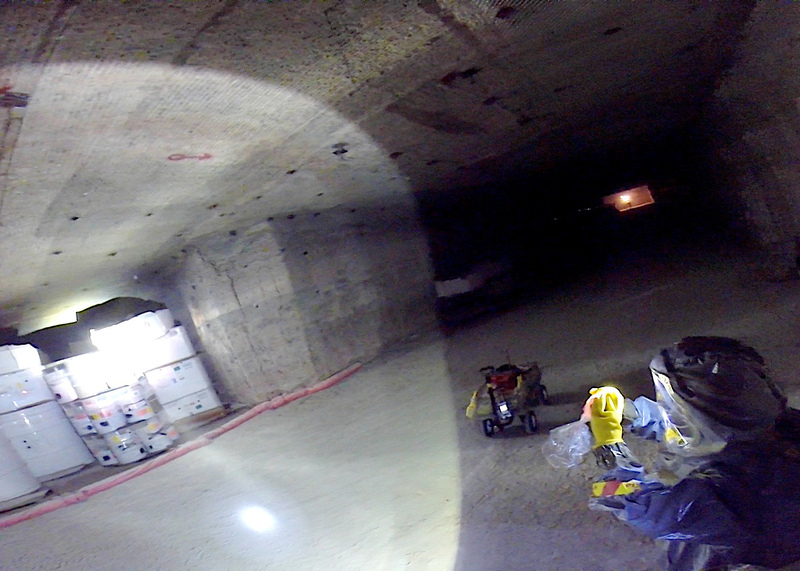 As seen in this video, WIPP teams are utilizing a fresh waster spray to mitigate the contamination in the WIPP underground. 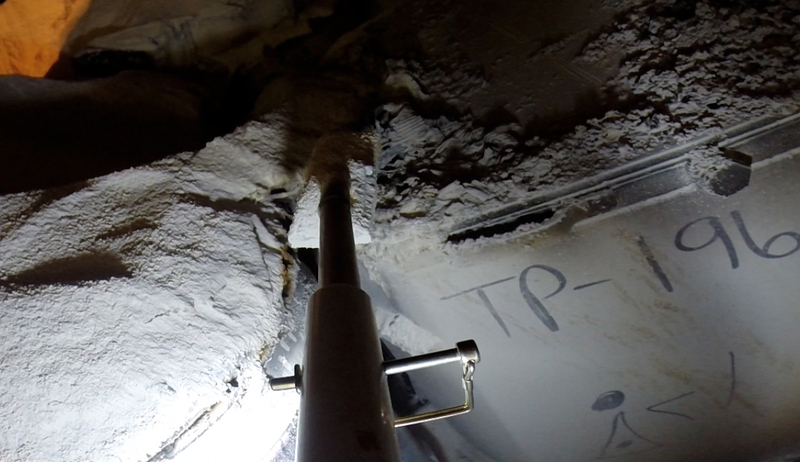 The water spray is applied to the walls of the mine causing the contamination to be trapped within the salt rock. 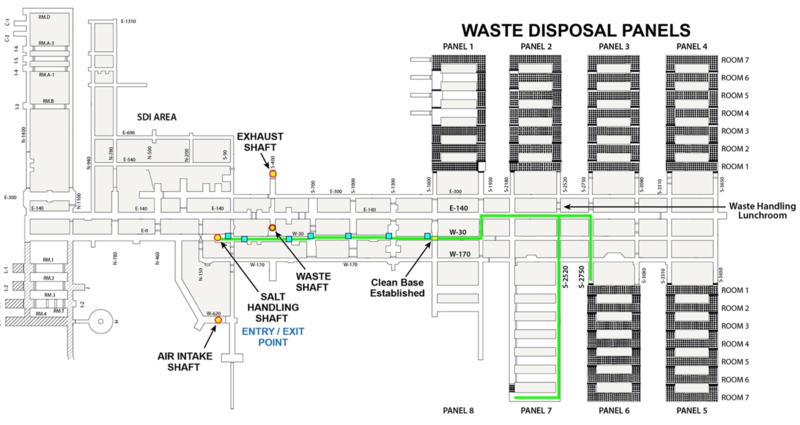 Project Reach, a 90-foot composite boom equipped with high resolution video equipment, was specifically designed and built to examine all waste containers in Panel 7, Room 7 in support of the Accident Investigation Board. The boom is installed on a movable cradle and mounted on a support structure that allows for both lateral and horizontal movement. 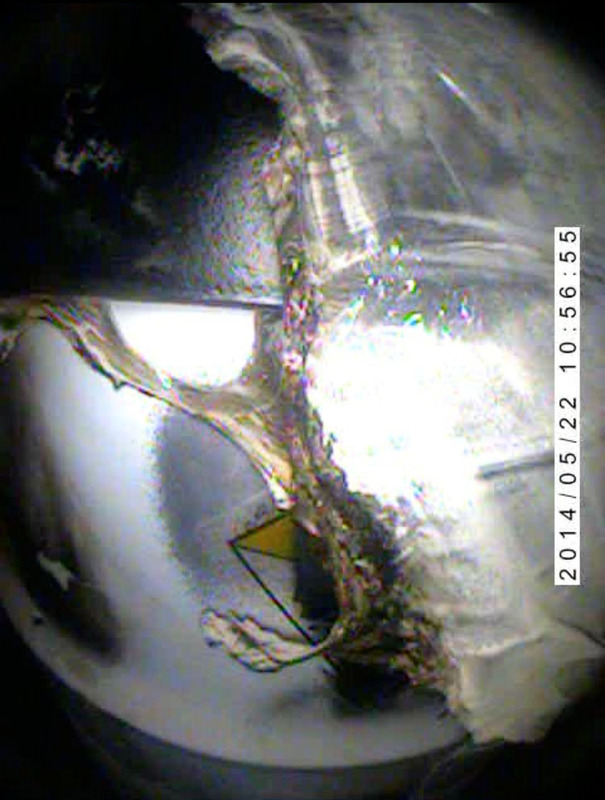 This attached video shows the real time radiography that was conducted on the specific container that breached in WIPP’s underground disposal area. These videos are evaluated by trained radiography technicians. 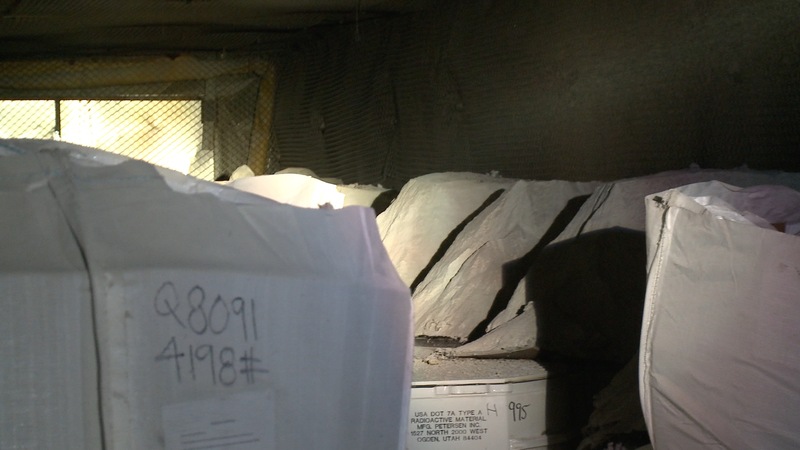 The video, from file, shows one of the processes used to inspect waste containers to determine if they meet waste acceptance criteria before they are shipped to WIPP. This low resolution video clip was produced by use of a rope camera that was lowered between columns of waste for a closer look at the bottom and middle row of some waste containers in the affected area. Click on a thumbnail image to see a larger version of the photographs. 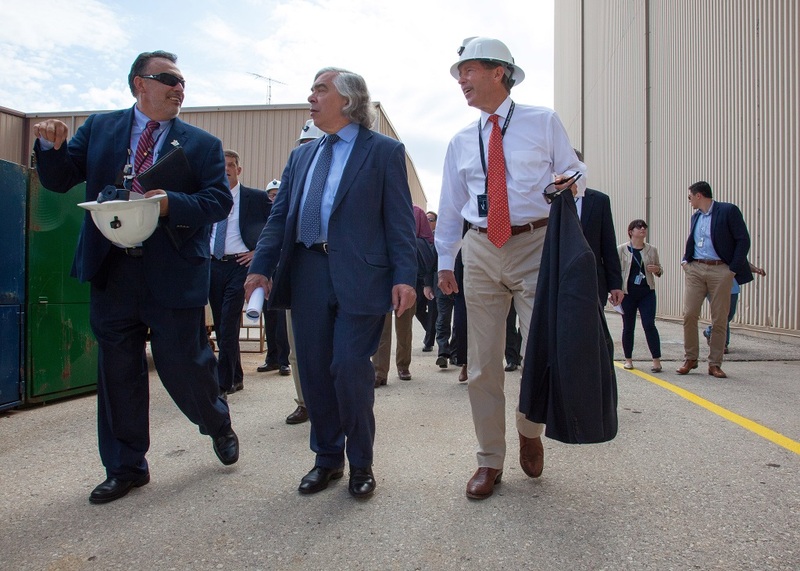 On August 11-12, 2014, Energy Secretary Ernest Moniz visited Carlsbad to tour the WIPP site and see firsthand the recovery efforts underway at WIPP. 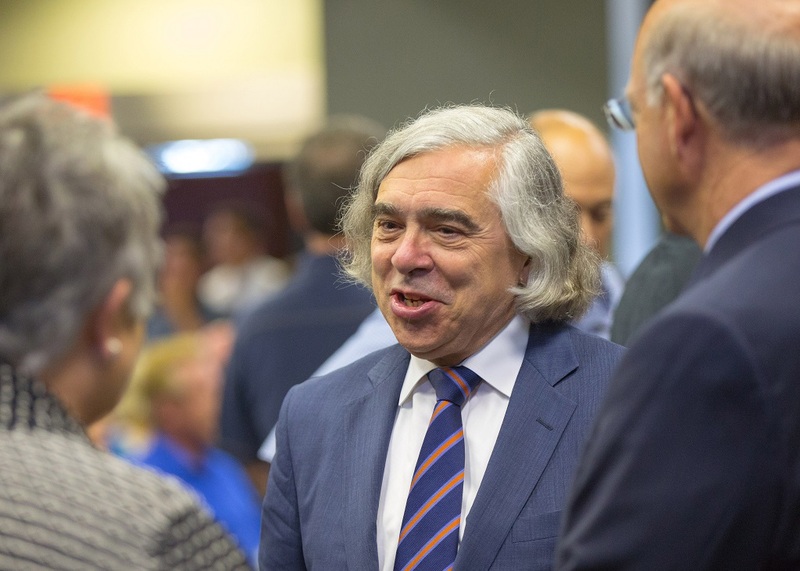 Secretary Moniz met with area residents at a town hall meeting and with WIPP employees at the site. 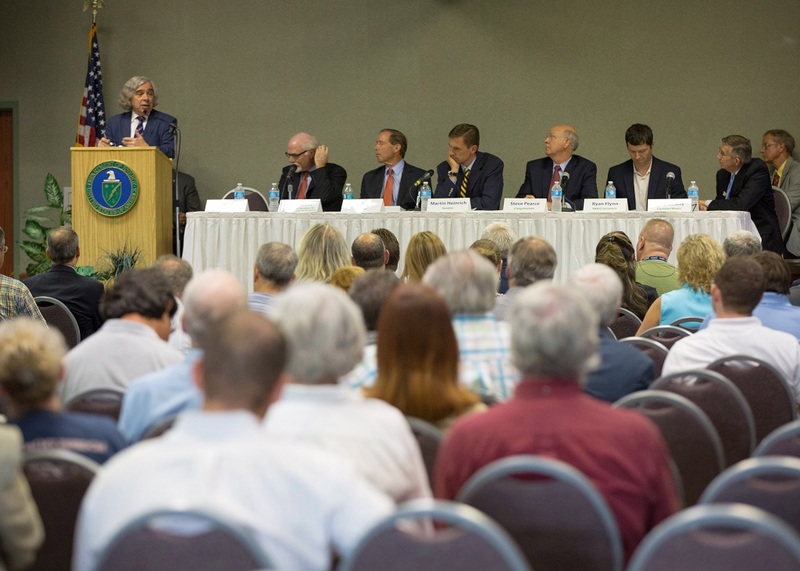 Also on hand were DOE Deputy Under Secretary for Management and Performance David Klaus, Senator Tom Udall, Senator Martin Heinrich, Congressman Steve Pearce, Secretary of the New Mexico Environment Department Ryan Flynn and Carlsbad Mayor Dale Janway. 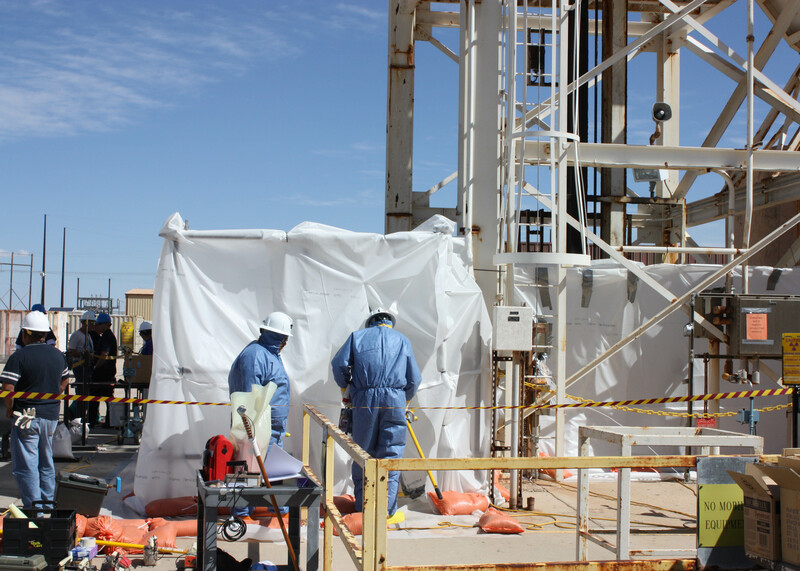 On May 30, 2014, WIPP recovery teams obtained samples from the previously identified damaged drum and nearby magnesium oxide piles. 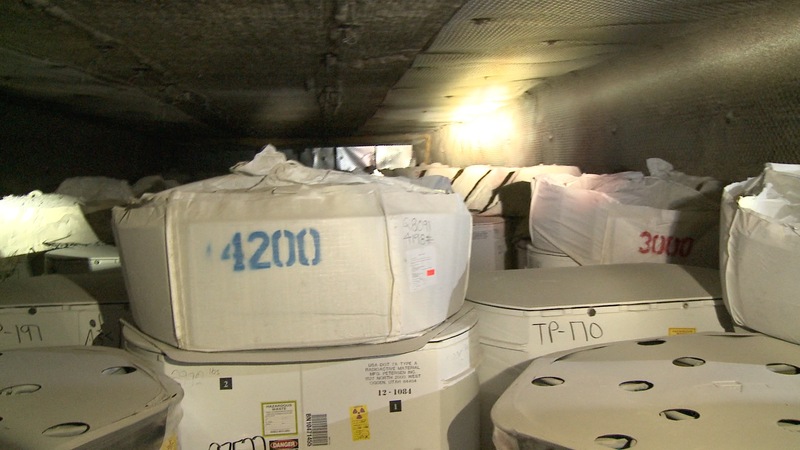 The sample contents will be analyzed as part of the investigation to determine the cause of the February 14, 2014 radiological event. 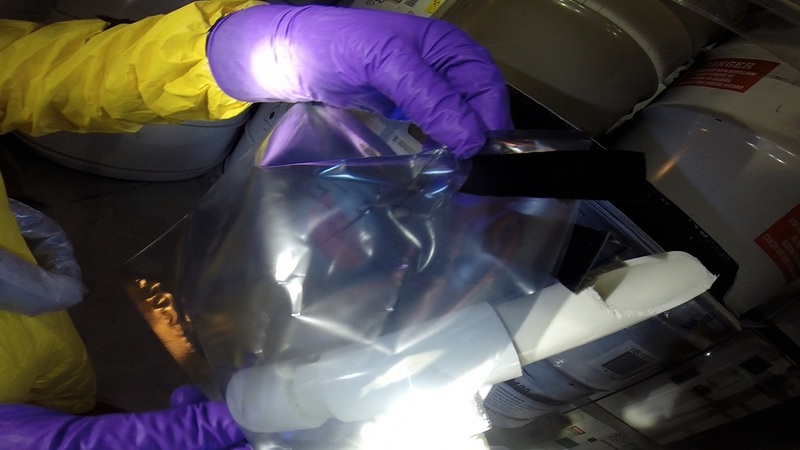 Photo 1: During the May 22 entry, this close up photo of the unsealed waste Container was taken. Photo 2: May 22 - Heat damage is evident on this photo of a waste container. 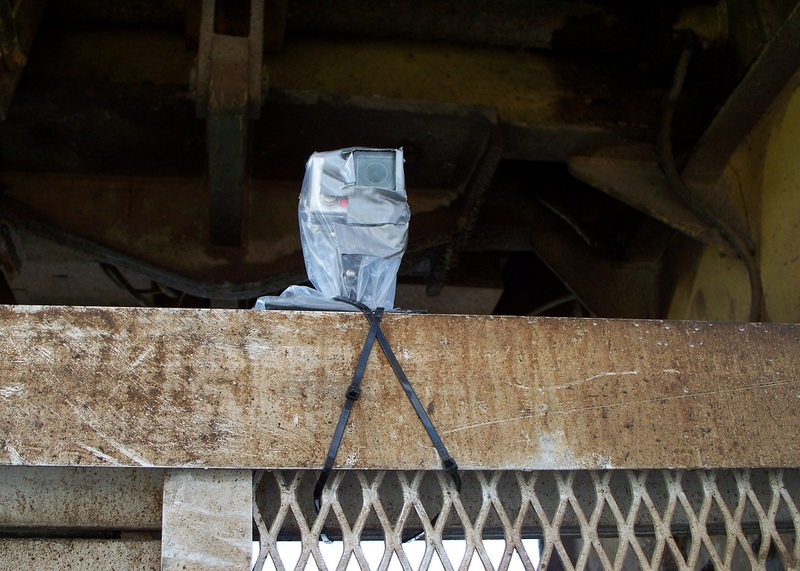 Photo 3: May 22 - A rope camera was used to inspect waste containers from between the columns. 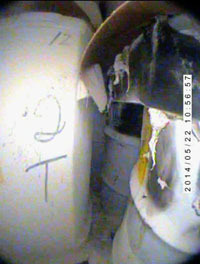 Photo 1: The May 15 entry into Panel 7, Room 7 produced the above photo of a waste container with its lid unsealed and apparent heat discoloration. 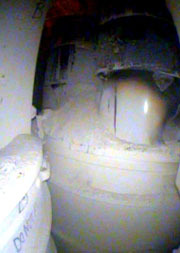 Photo 2: The May 19 entry into Panel 7, Room 7 captured this image. 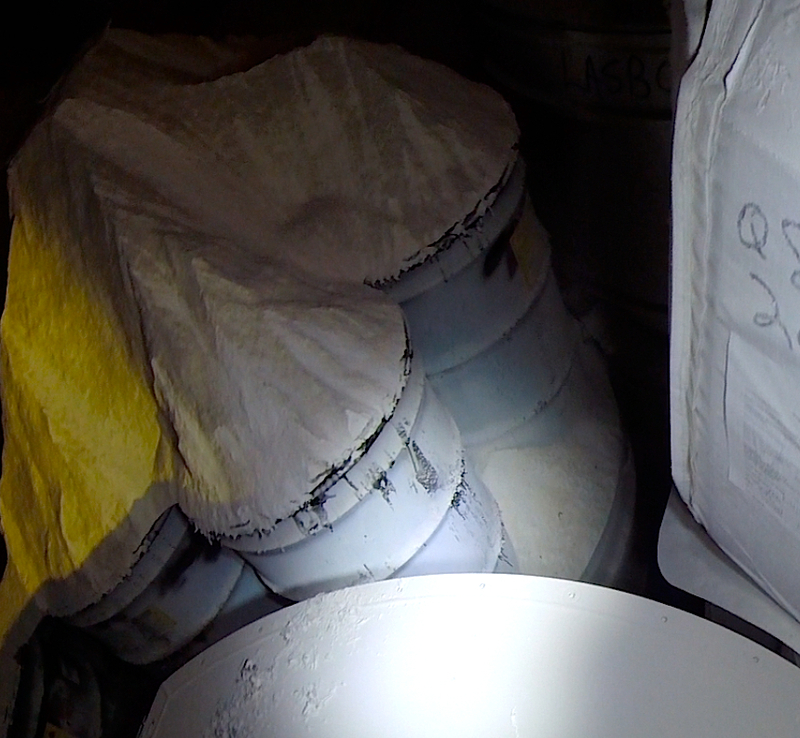 Damage can be seen to the slip sheet on top of the waste container and there are remnants of a magnesium oxide bag also visible. 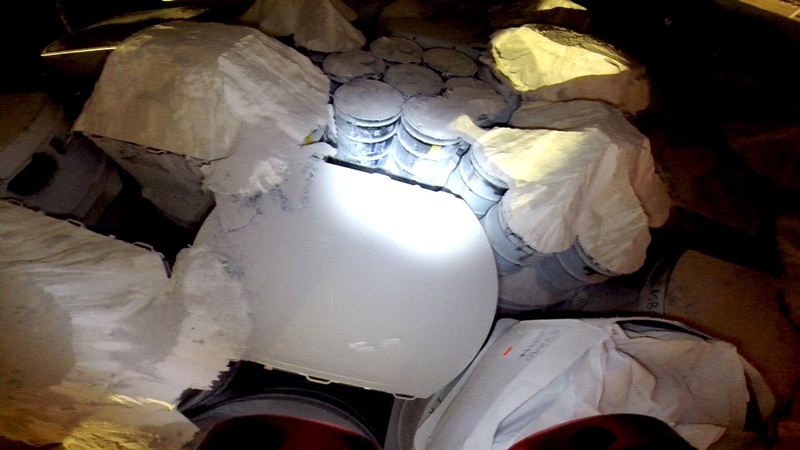 Photo 3: May 19 - The above photo shows the bottom of the waste container with the unsealed lid. The upper portion of the drum shows heat damage. 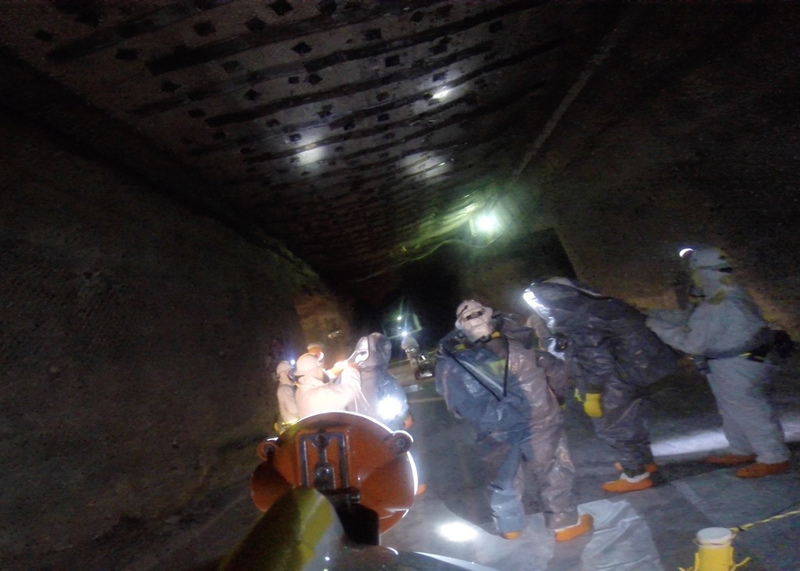 On May 10, 2014, WIPP recovery teams again re-entered the mine and proceeded into Panel 7, Room 7 to gather additional visual data. 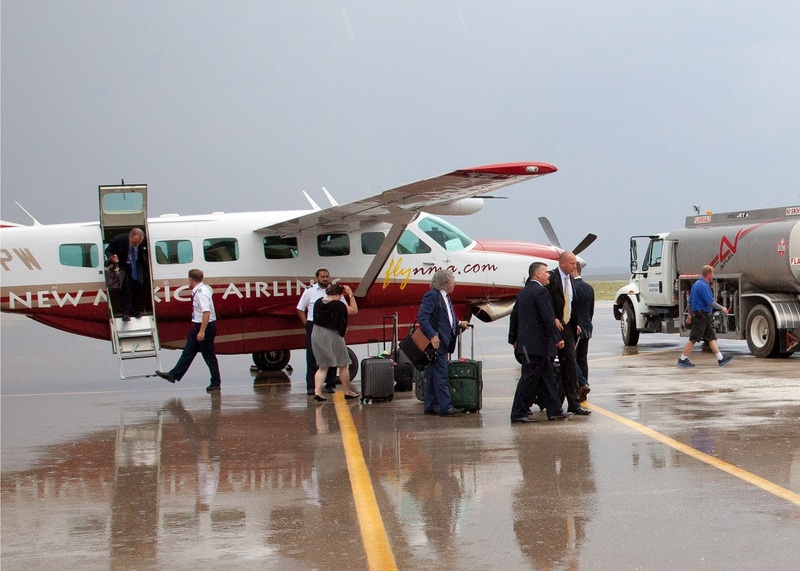 As seen in the photos below, evidence of a heat-producing event is visible. 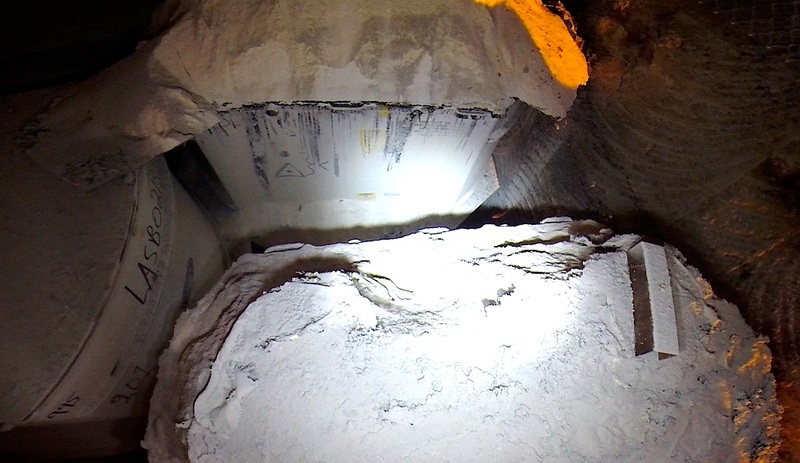 Photo 1: The waste face (front of the waste stacks) from Panel 7, Room 7 is neatly stacked with Magnesium Oxide (MgO) bags on top. 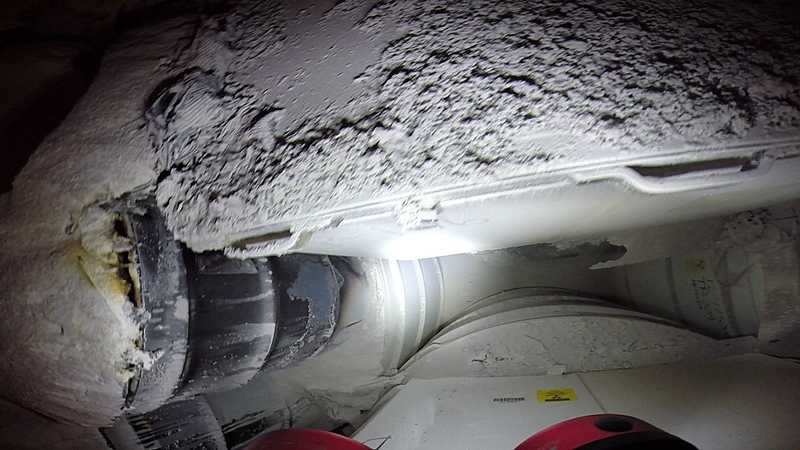 Photo 2: Evidence of a heat-producing event can be seen from the black marks on the sides of a Standard Waste Box. Photo 3: MgO bags are open and torn leaving MgO piles on top of the waste. Photo 1: MgO piles on top of waste drums. 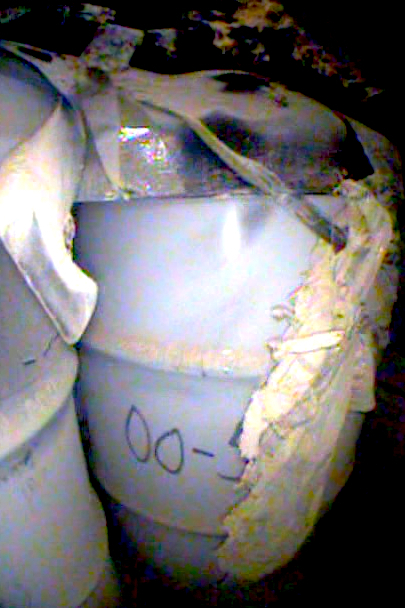 Melted material can been seen on the sides of the drums. 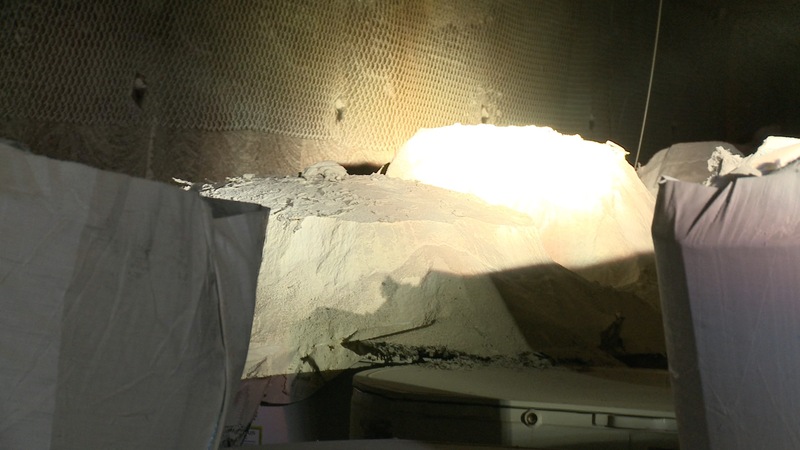 Photo 2: MgO piled on top of the waste stack. Discoloration can be seen on the right-hand wall. Photo 3: View of the left side of the waste stacks. MgO bags broken apart with heat damage visible on a Standard Waste Box. 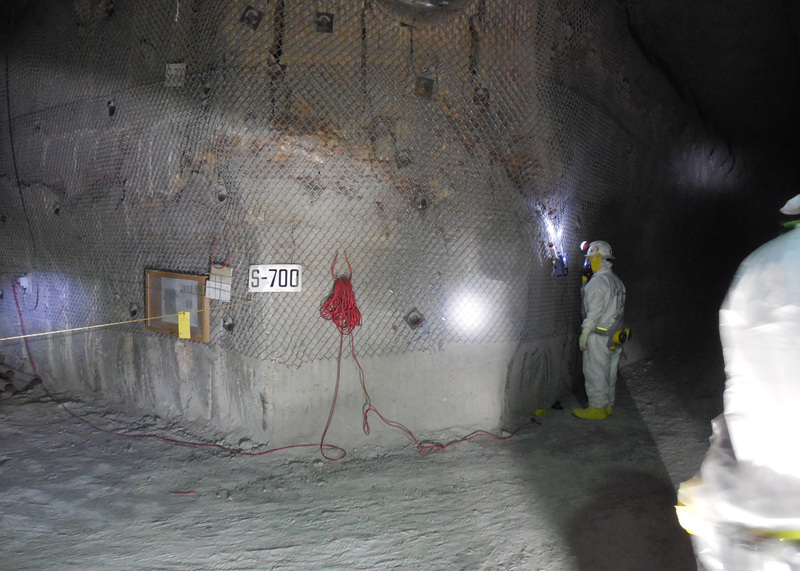 On April 30, 2014, WIPP recovery teams re-entered the mine and proceeded into Panel 7, Room 7 to gather additional visual data to help determine the exact location of the radiation event. 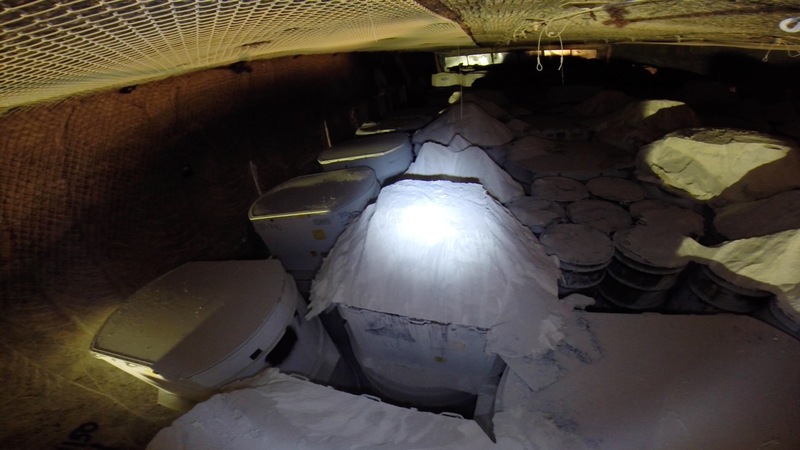 Workers were able to confirm there were not any issues with the roof or walls of the disposal room; however, it was confirmed that several magnesium oxide (MgO) bags were damaged. 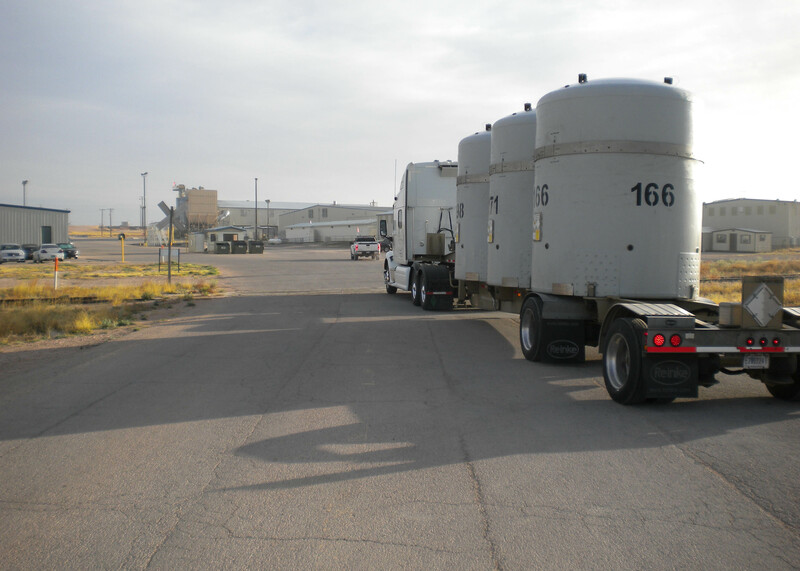 Photos of open MgO piles are shown below. 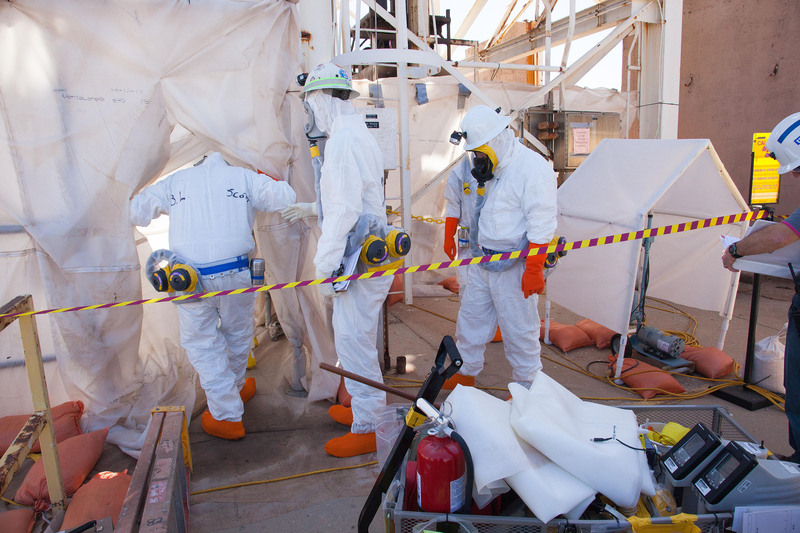 During April 14 - 23, 2014, WIPP recovery teams made multiple trips into the WIPP underground -- eventually reaching Panel 7, Room 7 -- the suspected location of the radiological event. 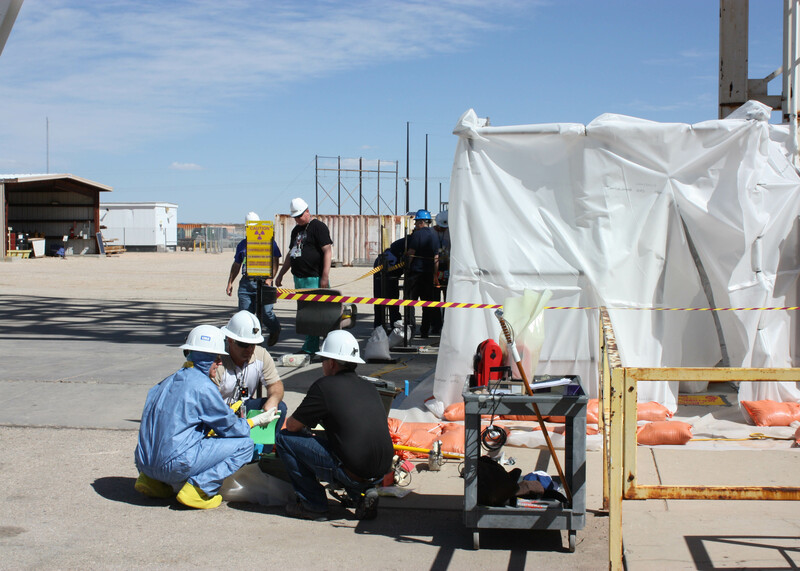 During these entries, teams took continuous radiological surveys and assessed the mine's conditions. 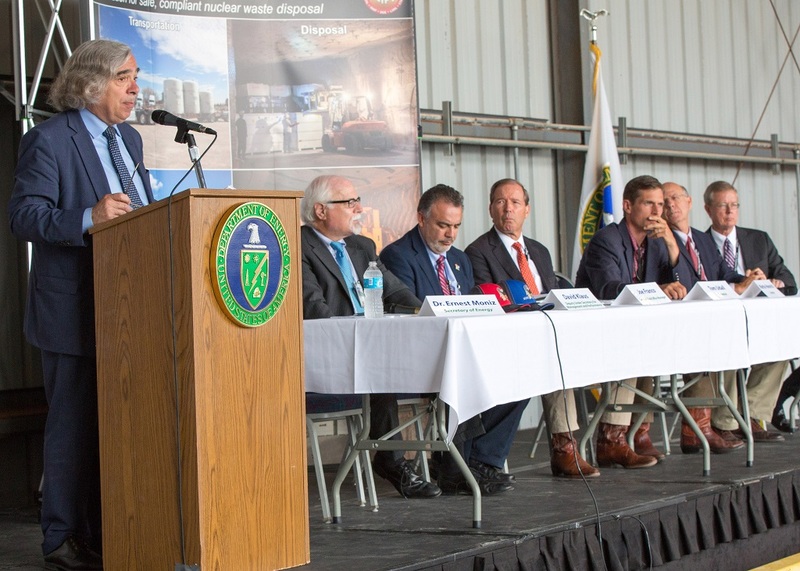 Additional Continuous Air Monitors (CAMs), which provide early detection and monitoring of airborne radiological contamination, were installed and clean bases were established. 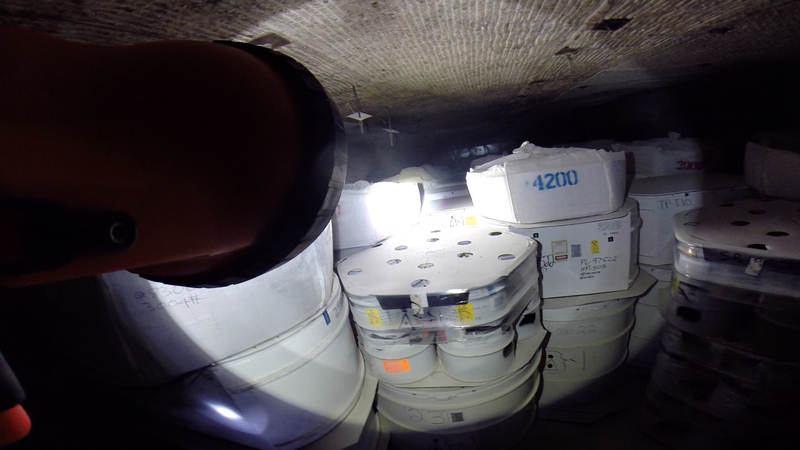 On April 23, a small discovery team entered Panel 7 and proceeded toward the columns of waste containers located in Room 7. The discovery team did not see any visible damage among the first few rows of containers. 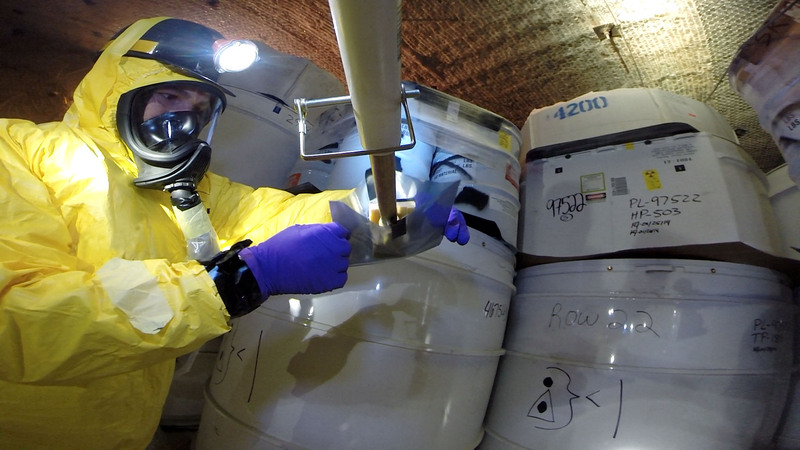 On April 2, 2014, two teams re-entered the WIPP underground facility for the first time since the February 14 radiological release. 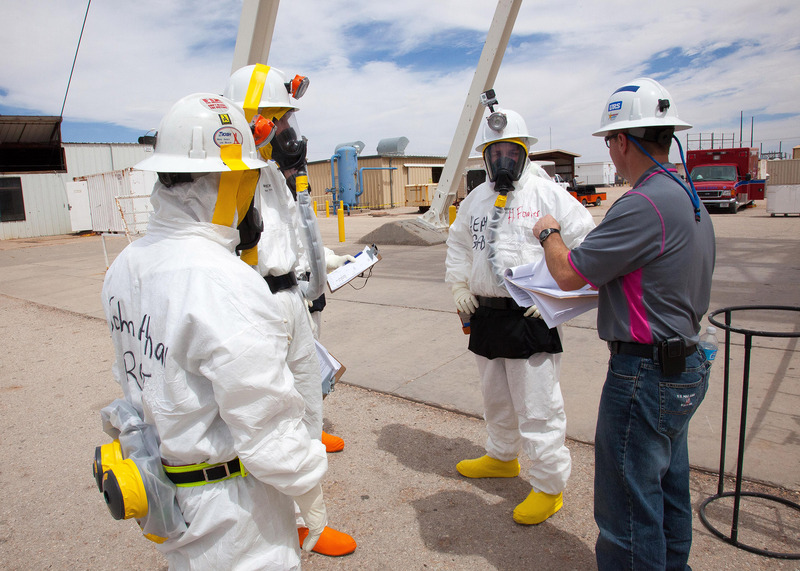 As a precaution, workers put on protective clothing and were fitted with positive air respirators. 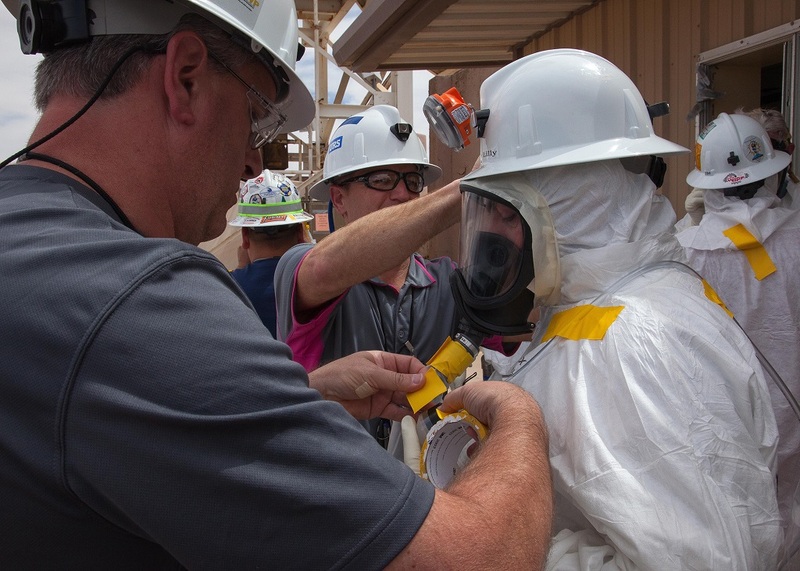 Having practiced and drilled for this event, teams were well prepared to enter the mine. 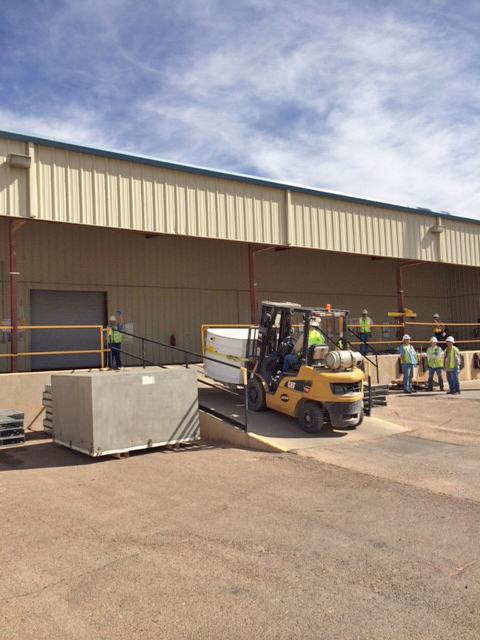 At approximately 1 p.m., the first team entered the mine through the Salt Handling Shaft. 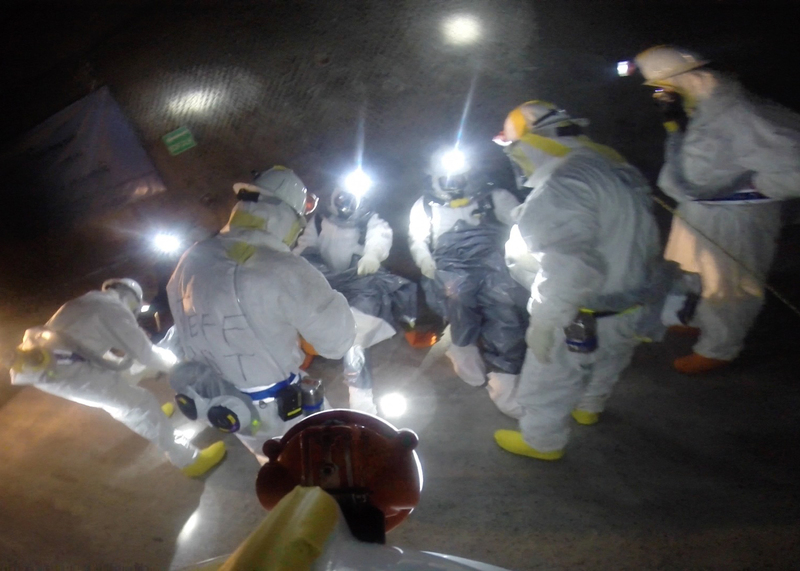 After no airborne contamination was detected, the second team then descended into the underground. 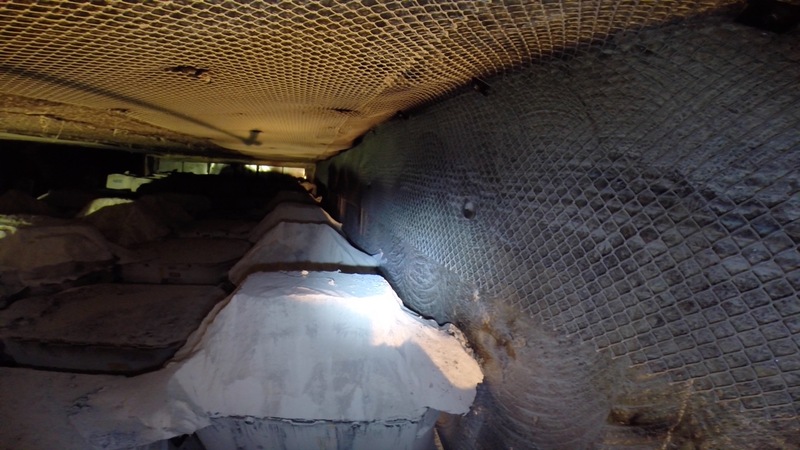 The teams surveyed conditions from the Salt Shaft Station to the Air Intake Station—thereby complying with the Mine Safety and Health Administration (MSHA) standard of two exit locations from the mine. 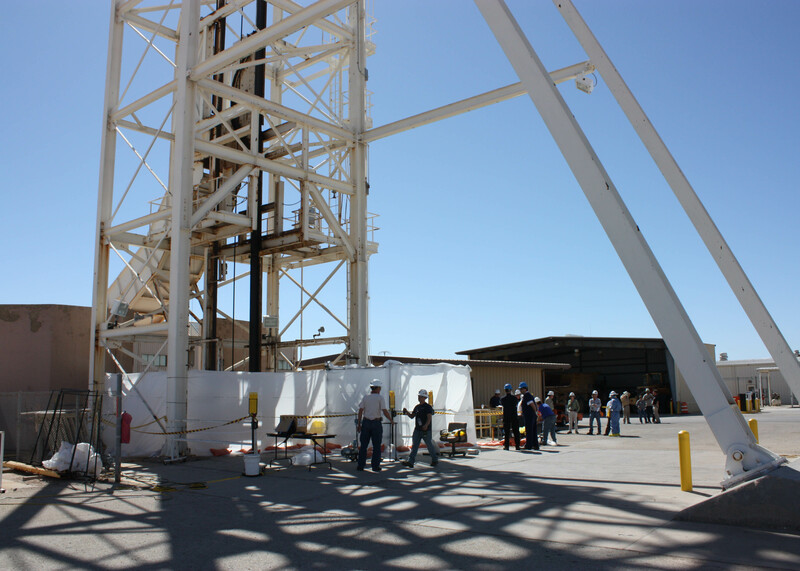 An operating base was established near the salt handling shaft and communication and safety equipment was tested. 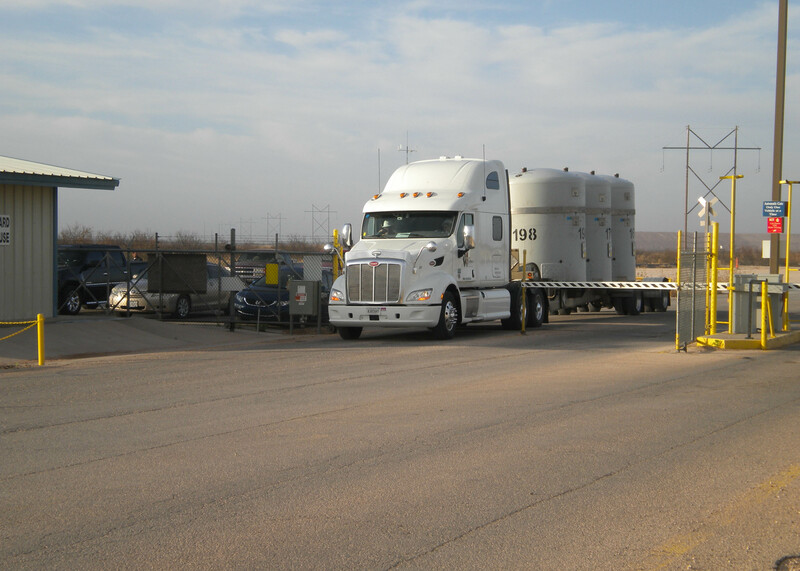 Team members also installed four portable Continuous Air Monitors (CAM) that provide early detection and monitoring of airborne radiation. 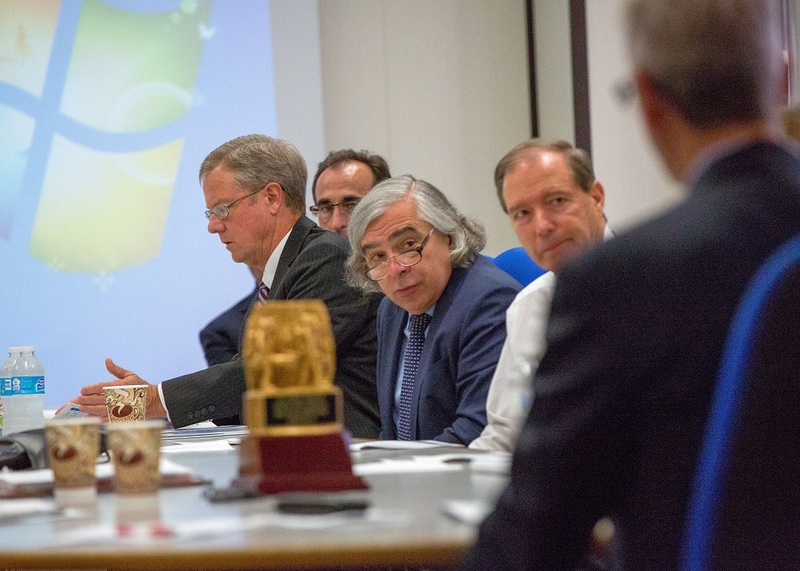 For more information see the April 2 and April 3 WIPP Update. 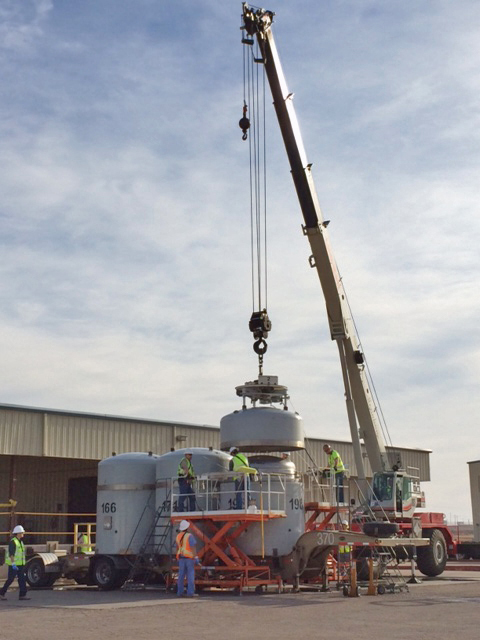 On March 7, 2014, WIPP outfitted the Salt Handling Shaft hoist with equipment used for radiological testing. 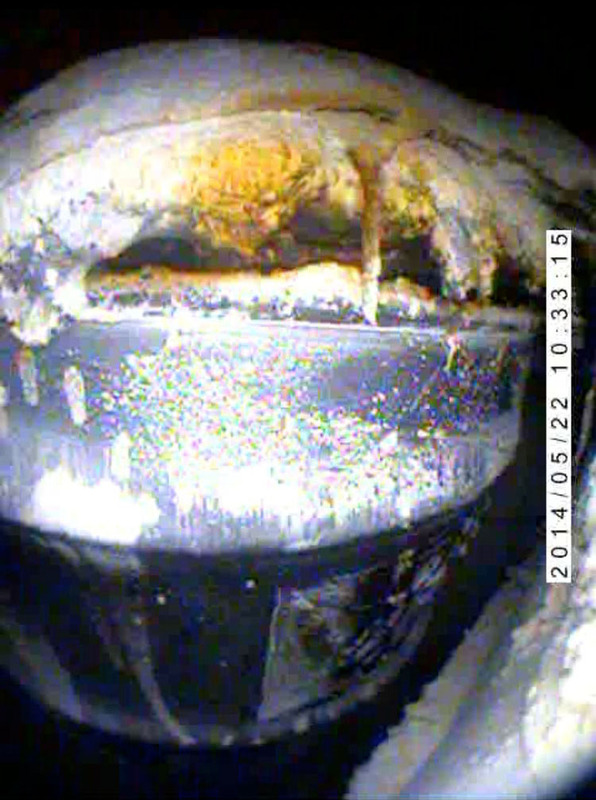 A video camera was attached to the frame of the Salt Shaft prior to deployment. 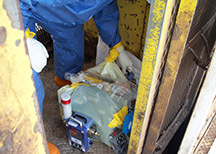 The camera and other radiological instruments were deployed to gather information on the conditions underground. 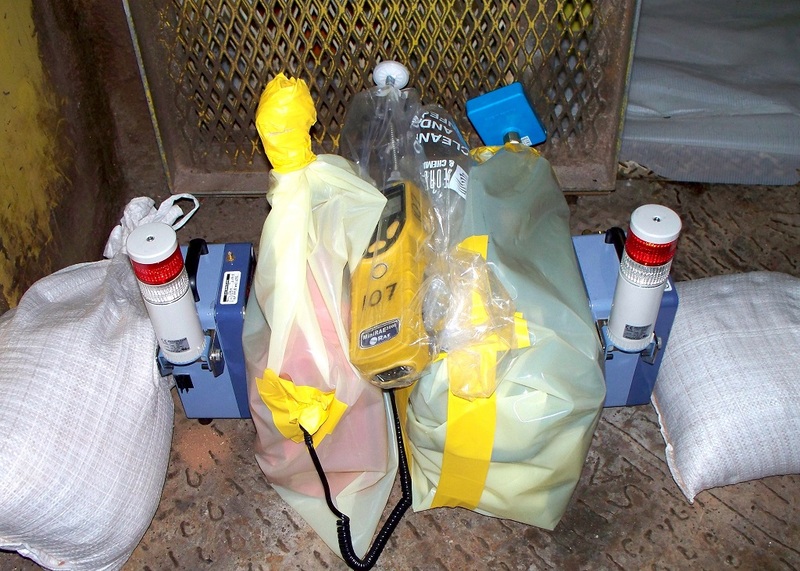 Some of the deployed monitoring instruments included two air monitors, a gas monitor, a data logger to capture information underground and an air sampler. 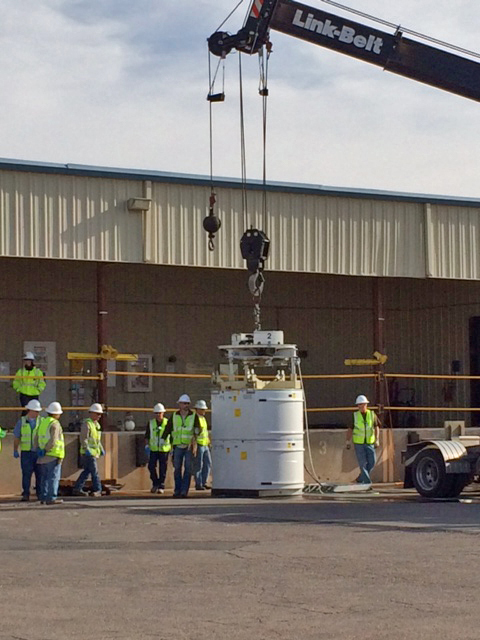 On March 7, 2014, the radiological detection and air quality instruments were lowered into into the mine to test underground conditions. 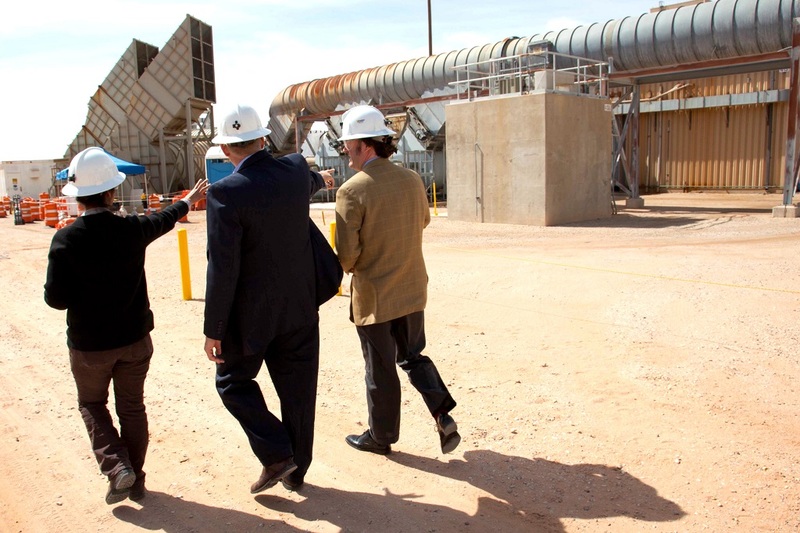 Senior Department of Energy (DOE) representatives were in Carlsbad, N.M., on March 6, 2014 to get first-hand knowledge of the recovery process at the Waste Isolation Pilot Plant (WIPP), to talk with WIPP employees and to assure the community of DOE’s continued interest in WIPP as the nation’s only repository for defense transuranic waste. 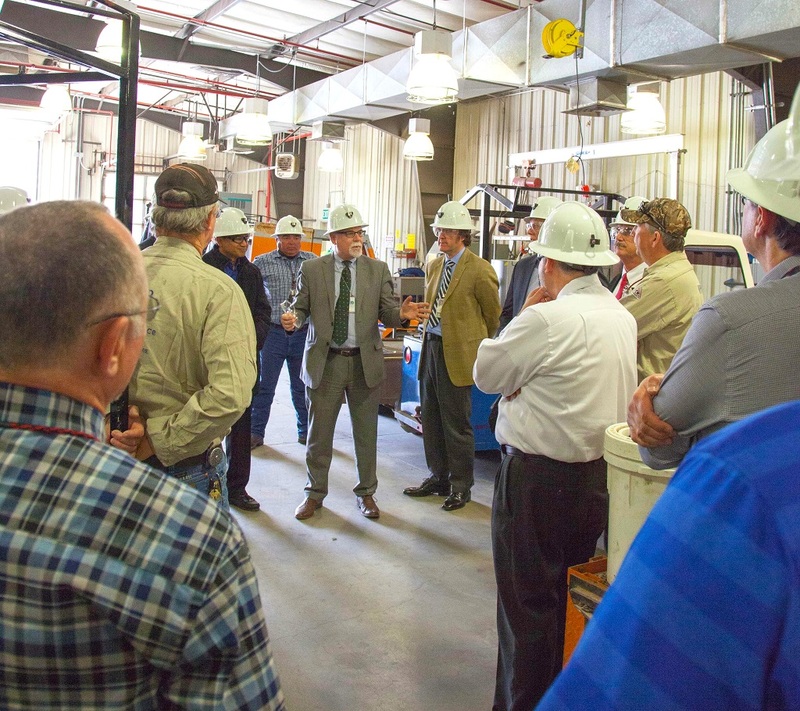 The DOE senior representatives toured the WIPP site to see first-hand the conditions at the site and to talk with employees. 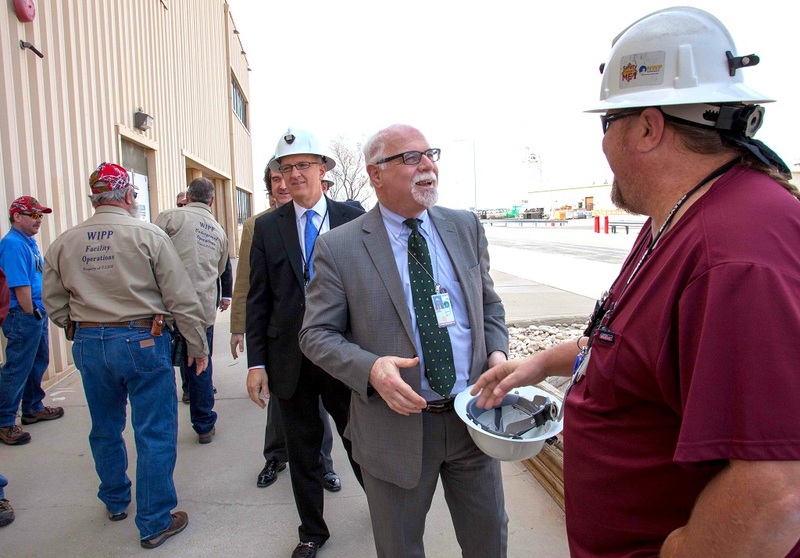 All indicated they were impressed with the attitude of employees, which focused on recovery and safe return to work.